Now that we are safely into 2014, it is time to look back and evaluate the best things that happened to the Indie music scene, specially in Bangalore. It will be unfair to make any evaluation based on genre, since music is universal. So I am going to base my evaluations completely on the things that I think made it there. Believe it. Or not! Here are my top 5. NH7 Weekender, featuring Swarathma in Kolkata. Thanks to the organizers, finally there is a gig in Kolkata featuring the best of Bangalore a�� Swarathma. This made it to my list since the success of NH7 and Swarathma in Kolkata has reignited a dying market in the music scene. Bangalore Open Air,A�one of the top metal festivals in India selected Mumbai-based metal heads Devoid to represent India at the Wacken Open Air, the Mecca of Metal. The gradual role that festivals like Bangalore Open Air has taken to promote metal in India, will certainly be felt in the next couple of years and ita��s a matter of holding onto the a�?rock capital of Indiaa�� tag for Bangalore. The Revivalists maiden gig in Bangalore. Wait. Dona��t fuss just yet! I know there were not too many people to witness the banda��s performance. But here is why it made it to my list. Revivalists are one of the fastest growing bands in the United States. The fact that there were four gigs, which packed 1,000 people collectively, shows that there is a growing market for good Indie music. Not everybody needs to be a Michael Jackson to tour India. 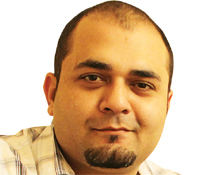 It is time Indian music lovers experiment rather than go with the flow. 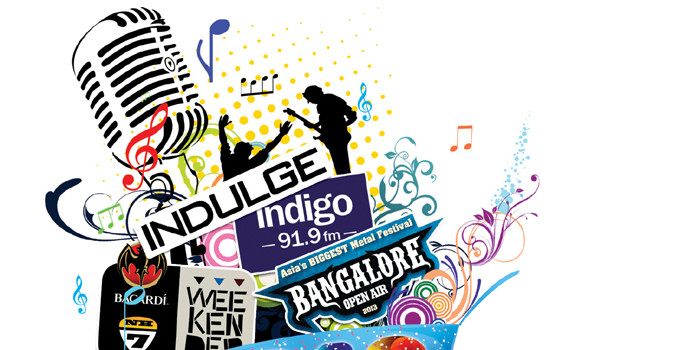 Indigo 919 and its growing popularity as a strong player not only in radio, but also in live events. Perhaps the most popular English radio station in India. Maybe the legendary Indigo 919 calendars will remind you of their powers. The news and features media is the top of my list because they have woken up to the buzz around the Indian music scene. Indulge, yes this very paper you are holding and reading right now, is doing a fine job in promoting music with this page. This is significant. This marks the acceptance of India-produced western music in mass media, promising several brighter things to comea��perhaps in 2015 it will get better. I forgot (intentionally) to mention the EDM music that has happened or maybe I quietly let all of them pass as also happeneds!